Sam Kerr is the first women’s player in Australia to be named as a marquee. The Football Federation of Australia announced on Thursday that Kerr had become the first ever female marquee player in Australia, joining the aformentioned list of A-League greats. It means the FFA will dip into the marquee player fund to reward a women's player for the first time, recognising not just the immense world-class talent of Kerr but also her role in helping to promote and develop the women's game in this country. 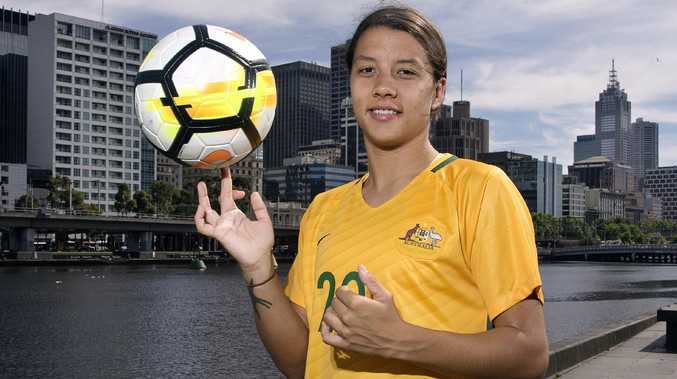 "Sam Kerr is truly one of the best female footballers in the world right now and one of the most recognisable sports people in Australia and football worldwide," FFA chief exeutive David Gallop said in a statement. "Sam's reach extends well beyond the football field, as illustrated by her being the current Young Australian of the Year. "We truly hope that historic days like today will ensure we create an important legacy for professional female players in the future." FFA's head of leagues, Greg O'Rourke, was also excited Kerr had agreed to return to Perth Glory as a marquee player. 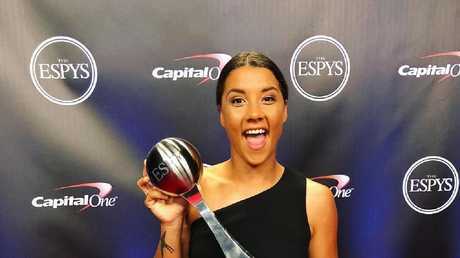 Sam Kerr at the ESPY Awards. "We are committed to growing the Westfield W-League into one of the top professional female leagues in the world and we are excited to be working with Fox Sports on a range of initiatives to ensure the Westfield W-League is a league of choice for the best female players in the world," he said. "Whilst our marquee player strategy is strongly focused on continuing to raise the profile of the Hyundai A-League and Westfield W-League, Kerr will play an instrumental role in promoting the game of football as a whole, across both the professional game and the significant grassroots player base and also transcending the traditional boundaries of the men's and women's game." FFA's head of women's football, Emma Highwood, is happy Kerr is returning to Australia for the build-up to the Women's World Cup. "Continuing to build significant interest in the women's game is particularly critical in the next six to eight months as FFA continues to work hard to secure the right to host the 2023 FIFA Women's World Cup," Highwood said. "In addition, it is wonderful to have players like Kerr home in Australia in the lead up to the 2019 FIFA Women's World Cup, giving fans a chance to see their heroes in person as they prepare for one of the biggest tournaments of their footballing careers."